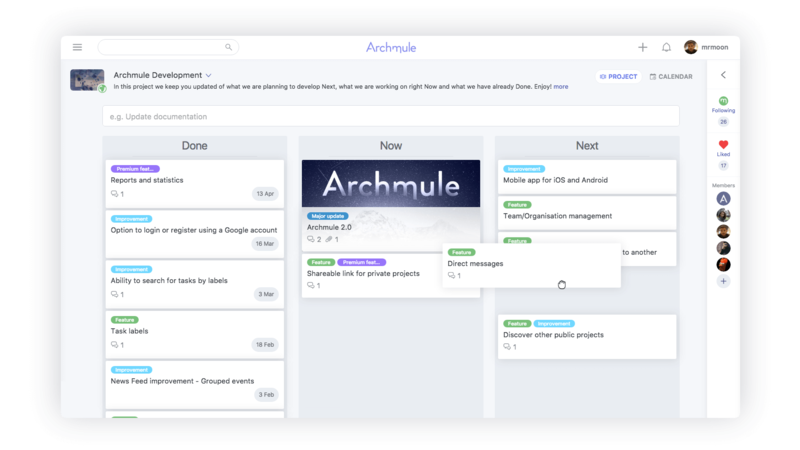 Organise your life with unlimited projects and collaborate with unlimited users for free. The most straightforward project management service on the web. The task management is easy and at the same time powerful with multiple options. Expand your network and work collectively with others. Communicate, share your ideas and your progress with anyone.